Scott is truly a proud Calgarian. Born and raised here, he spent nearly his entire childhood in Calgary. When his family was transferred to Winnipeg during his high school years, Scott moved back to Calgary one week after graduating. 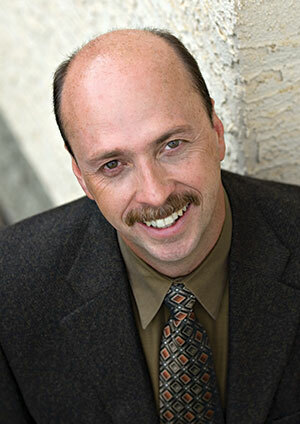 Scott graduated from college in business administration, and has made marketing and sales his field for over 30 years. Real estate was a natural fit, for it involved working directly in the market and working closely with people. In one of the world's fastest growing and potentially volatile real estate markets, it's important to have a sense of what the variables are when choosing to buy or sell your Calgary home or condo. Scott's interest in all things real estate is the driving force in his ongoing education of the market and the factors that may influence the direction you may want to go. Scott takes care to clarify the market variables so they are delivered to you in ways you can easily understand and make the right decisions. Marketing is more than just understanding what's at play. It's making sure that the entire team is on the same page and can make educated decisions together. As a client, you are the key member, part of Scott Baker’s real estate team. At the risk of sounding cliche, it's people, not just properties that drive this industry. Scott's earned a reputation for the level of care he provides his clients. By listening carefully to your immediate and long term goals, the Scott Baker & Associates team works in concert to find the way to best make your goals happen and keep you informed at every turn. Scott credits his success to his ability to listen and his desire to educate his customers. It's far easier to be successful when your customers know that they are making sound financial decisions. Scott brought these talents of service to his work in real estate, developing a reputation as an agent with impeccable integrity and attention to detail. From his decades in sales and marketing and his many years coaching minor hockey and baseball, Scott understands the importance of giving back for the benefit of others. As parents of four adult, successful kids of their own, Scott and his wife Terrie see the tangible results and value of supporting children. "When you help kids reach even a small portion of their potential in life, they remember those achievements, and become better adults." Scott, Terrie, and his team continue their support of children and families through their continuous connection and donations to both Ronald McDonald House of Southern Alberta and AARCS, The Alberta Animal Rescue Crew Society.